Butterflies are insects in the clade Rhopalocera from the order Lepidoptera, which also includes moths. 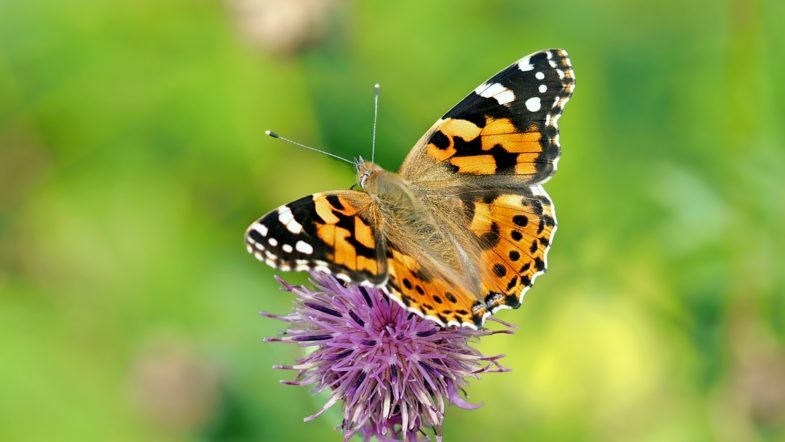 Adult butterflies have large, often brightly colored wings, and conspicuous, fluttering flight. The group comprises the large superfamily Papilionoidea, along with two smaller groups, the skippers (superfamily Hesperioidea) and the moth-butterflies (superfamily Hedyloidea). Butterfly fossils date to the Palaeocene, about 56 million years ago.